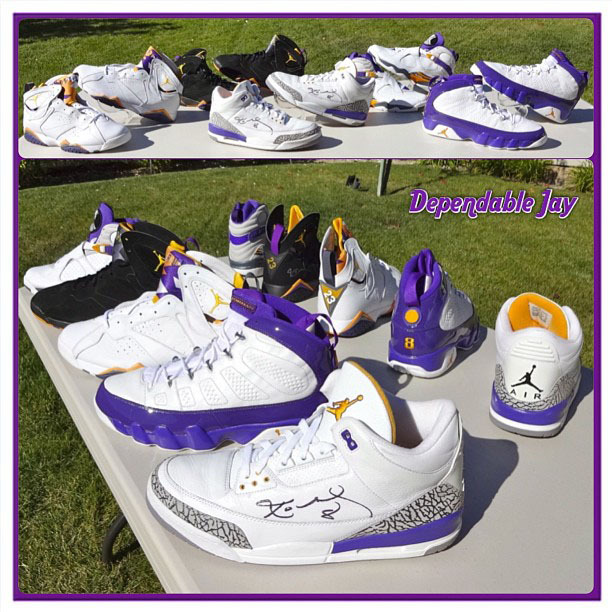 Next level collector DependableJay cracks open his vault once again, offering us a look at the complete Kobe Bryant Air Jordan Player Exclusive collection. 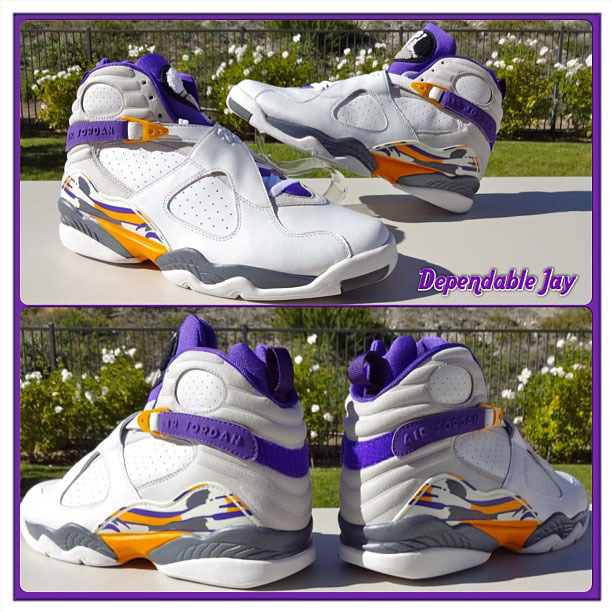 Next level collector DependableJay cracks open his vault once again, offering us a look at the complete Kobe Bryant Air Jordan Player Exclusive collection from his 2002-2003 sneaker free agent season. 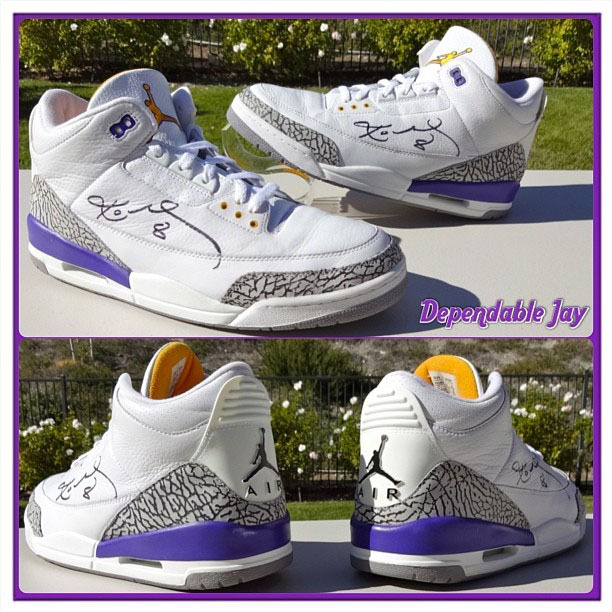 According to Jay, the autographed Jordan 3 PE was worn against the Indiana Pacers on March 5, 2003, when Kobe poured in his 10,000th career point. 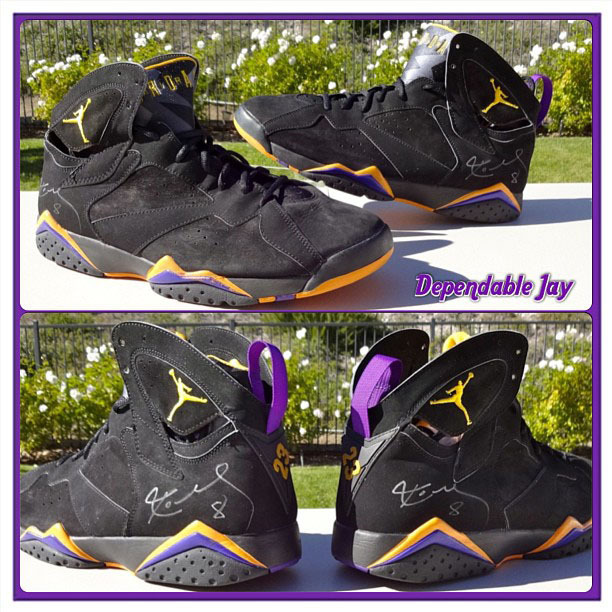 The 'Away' 7 is also game worn and signed, while the 'Home' 7, 8 and 9 are each deadstock. 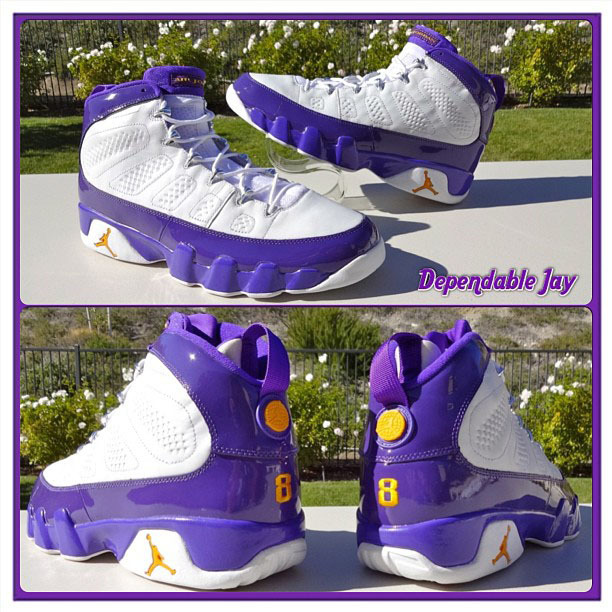 Which Kobe Air Jordan PE is your favorite? 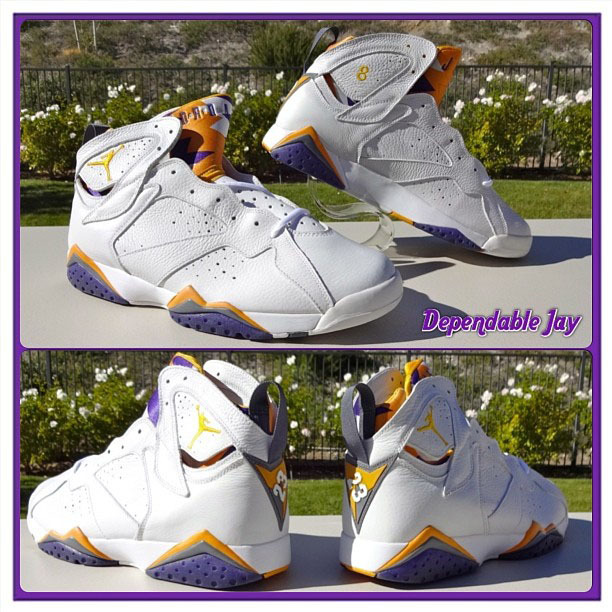 Cast your vote below and follow @dependablejay on Instagram for a look at one of the all-time great sneaker collections.